This is a guest blog by Kristin Savage, a marketing strategist. Let’s take a look at the issues many healthcare organizations are struggling with while working on enhancing the patient experience. Preventable hospital-acquired infections (HAIs) are undoubtedly one of the most critical factors that need to be addressed. According to recent surveys, HAIs occur in one of every 25 acute hospitalizations, undermining patient outcomes and costing the industry billions. In addition to preventable infections, healthcare providers are facing a wide range of problems, claims PwC Health Research Institute Consumer Survey. Here are the services that they invest in to enhance customer experience. From having appropriate caregiver tools to effective management of social media presence, there’s a lot that healthcare providers need to improve to ensure a positive patient experience. Clearly, 2019 will be about making significant investments in patient experience because it has a profound impact on an organization’s bottom line and treatment outcomes. In this article, I’m going to address some of the most important points that define patient experience in healthcare and share tips on improving it. Social media is an excellent platform to connect with prospective patients because it facilitates healthcare organizations to share healthcare tips and blogs, which allows patients to stay updated on healthcare information. These platforms also support healthcare professionals in getting increased peer and social support. However, many healthcare providers are yet to embrace social media as a tool for peer and patient communication. As a result, they miss an opportunity to engage patients, keep them updated, and build brand loyalty. Clearly, this is something that patients can benefit from, so teaching healthcare providers how to use social media for these purposes is a good way to enhance the overall experience. Of course, we’re talking about online reviews. They are huge now and 91 percent of millennials trust online reviews as much as personal recommendations. The healthcare industry is not an exception. For example, DigitalCommerce360 cites a study which found that 84 percent of patients now use online reviews to assess physicians. Also, 77 percent of the surveyed patients in the sample said that online reviews were the first step in their search for a new healthcare provider. Whether you are a healthcare provider or an organization, you must learn how to manage your online reputation to improve your current practice and connect with more prospective patients. There are two ways to go about this. First, you can read online reviews by visiting review sites or other sites that allow people to leave reviews. Second, you can use a healthcare reputation management tool to get a complete overview of your online reputation, manage reviews, communicate with patients, get useful information on improving your practice, and ensure that the reviews create an accurate perception of your practice. 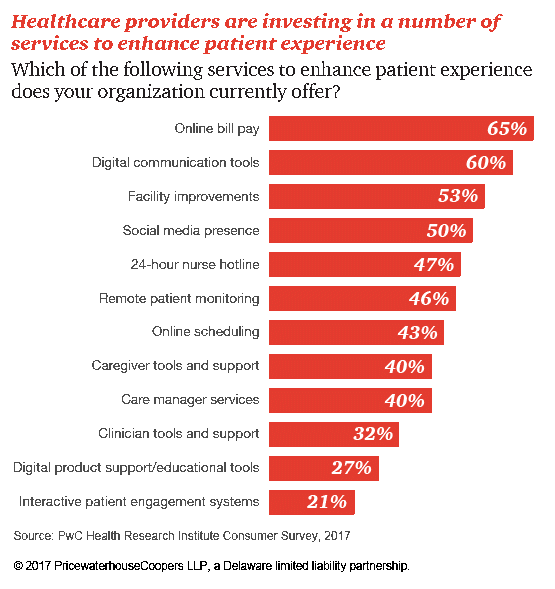 The PwC survey we’ve reviewed above showed, 47 percent of healthcare organizations didn’t offer this tremendously important feature for their customers. Obviously, online scheduling is something that many people would find convenient because let’s face it, people are busy, juggling schedules from home to work and doing other important things. They simply want to schedule an appointment with a healthcare provider of their choice as soon as possible and go on with their lives. That’s why more than 41 percent of patients today use the Internet to do it, according to GetApp research. Besides, there’s evidence that 80 percent of healthcare consumers prefer a physician who offers online scheduling. Look at the problem from the perspective of your patients and scheduling online will make perfect sense. 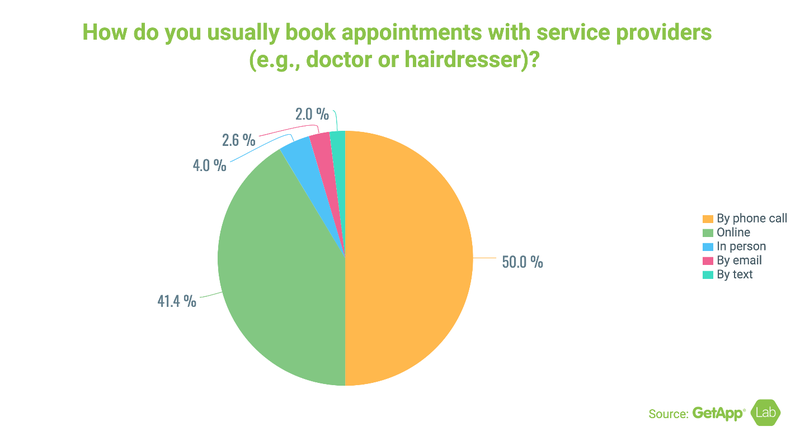 As you can see, online scheduling helps people to avoid a lot of problems such as not having enough booking options, having to wait until business hours, and dealing with a slow or complex website of a provider. Clearly, this feature is a must for your business today as more and more patients become familiar with online scheduling through restaurant, travel, and other websites. 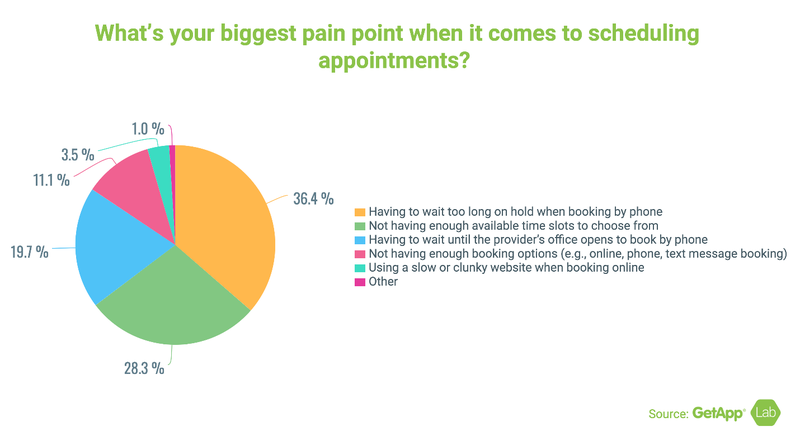 This feature may help you gain a competitive advantage as only 40 percent of the 100 largest healthcare systems currently permit patients to schedule appointments with providers online, claims a recent survey by Accenture. It’s a known fact that a lot of healthcare customers go online to find reliable healthcare providers who can meet their unique needs. For example, they could be looking for specific treatment, facilities, or other services that may enhance their outcomes. Your job is to let them know that you and your organization are perfect for meeting their unique needs. While online reviews can provide some help with achieving this goal, you need to go the extra mile to stand out in a highly competitive industry with search engine marketing (SEM). SEM is defined as an approach of using advertising campaigns based on specific keywords to connect to users actively searching the web for these keywords (keep in mind that one in 20 web searches are healthcare-related, according to Google). In other words, it can help you connect with quality leads online and increase traffic on your website. By targeting relevant keywords and leading patients to a site that describes the benefits and other features of your organization, you can help patients make better decisions. When organic visitors obtained through online advertising land on your website, they’ll encounter useful content that describes how to solve problems with choosing a healthcare provider, treatment, and other issues they’re currently facing. The biggest challenge that you’ll encounter with SEM is content creation. Google loves when a website regularly supplies it with content that its users find relevant and helpful, so it’s your job to produce great content such as videos, articles, guides, and other materials. 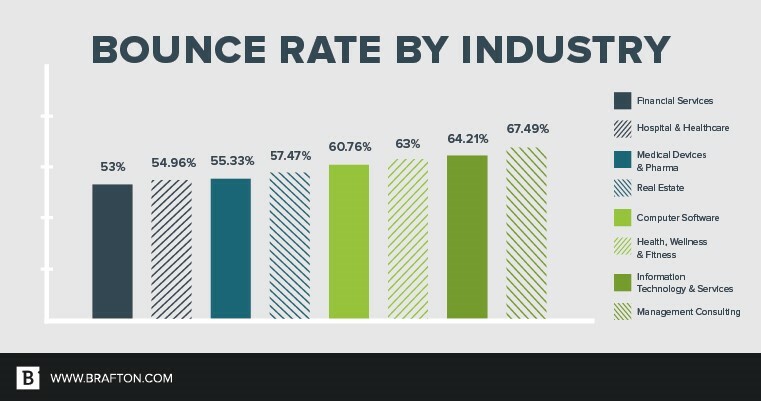 They will help to increase the chance that your bounce rate, the percentage of visitors who leave the site after viewing only one page, will be lower than the industry average of 55 percent. Clearly, prioritizing the needs of your patients is a major predictor of success for healthcare organizations. This guide will help you implement a patient-centered strategy on service improvement, and ensure that every person who contacts your organization, whether a web visitor looking for tips on treatment or a patient hoping to get professional treatment at your facility, gets the best care. Kristin Savage nourishes, sparks and empowers using the magic of a word. 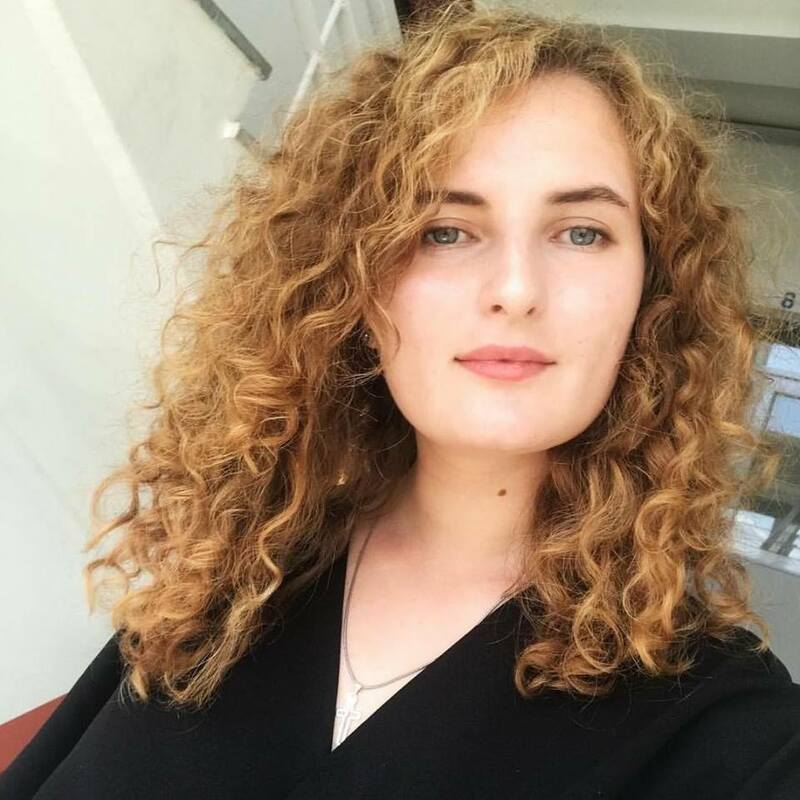 She is practicing regularly while reviewing new translation services at Pick Writers and constantly contributing to other educational platforms. Along with pursuing her degree in Creative Writing, Kristin was gaining experience in the publishing industry, with expertise in marketing strategy for publishers and authors.